St. Henry District High School is committed to serving our community by providing the opportunity to earn a college-preparatory, Catholic secondary education to any student who wants to attend SHDHS. Each year, our Tuition Endowment and Financial Aid funds continue to grow! Last school year, SHDHS disbursed more than $300,000 in tuition assistance to SHDHS families. SHDHS offers tuition discounts to families with more than one student registered, as well as to those who pre-pay tuition in full. If you have more than one student registered, the second student’s tuition is $600 less than the first student’s tuition. A third student’s tuition is half the amount of the first students tuition. Families will receive $100 discount if tuition is paid in full by July 31. *For the 2018-19 school year, there will be a two-tiered tuition structure for diocesan high schools. The first rate, or diocesan rate, is for a Catholic student registered in a parish in the Diocese of Covington. This rate is currently $7,750. The second rate, or non-diocesan rate, is for a student who is not Catholic or is a Catholic student from outside the diocese (Cincinnati, Indiana or even Lexington). The non-diocesan rate is $8,750. According to diocesan policy, this rate has to be higher than the first and is approximate to the actual cost per pupil. The general fee of $500 is added to the total tuition amount. You should add $500 to the amount of tuition mentioned above. 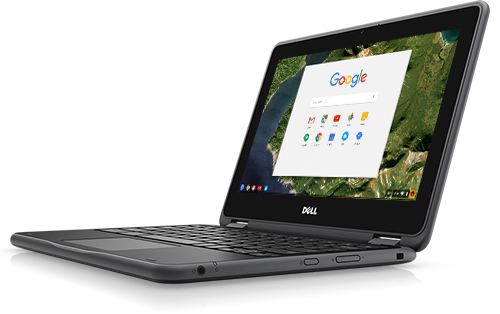 When ordering the Chromebook device, parents will have the option to pay using their credit card or by check. If the parent chooses to pay cash, they will need to stop by the school office during regular business hours. Regardless of the method of payment, parents should place all orders online using the link below. Please note that when paying by credit card, a $10.00 processing fee will be incurred. All parents and students are required to read and submit an electronic confirmation for the SHDHS Technology Responsible Use Policy before we can release the device to the student. Last year, SHDHS was able to grant nearly 65% of the need of families who qualified for financial aid. In every case, this enabled families to keep their children enrolled here at SHDHS. Families can apply for financial aid beginning on January 12th. Click here to access the online FACTS application or call 859.525.0255 to request a copy from the front office. All applications are reviewed and processed by FACTS, a third-party financial aid firm. Note that FACTS will only evaluate families with students registered to attend SHDHS the following fall. FACTS reviews the applications and ranks applicants according to need. SHDHS then awards financial aid based on available funds. Families are notified of their level of financial assistance before the first tuition payment is due in July. All information in this process is completely confidential and all agreements must be renewed annually. 2018-2019 Financial Aid Applications must be submitted by May 1, 2018. Families often ask about work study programs. While we have offered work study in the past, we now prefer, in the best interests of our families, to simply grant families who qualify the needed funds without requiring students to work. If you have questions regarding the financial aid process, please contact Susy McAfoose, SHDHS Business Manager, at 859.525.0255 or [email protected]. Families have three tuition payment options; monthly, quarterly, or pre-paid. Monthly tuition is the total amount (tuition + fees) divided by twelve (tuition is collected in the months from July through June). Quarterly tuition is the total amount (tuition + fees) divided by four. Pre-Paid tuition is the total amount (tuition + fees) minus a $100 discount. Payment must be received by July 31 to qualify for discount. All Senior tuition must be paid in full by May 1. A merit-based scholarship is offered solely based on a student’s academic achievement. It is important to note that the KHSAA mandates that any student participating in a sport cannot receive more than 25% of his/her tuition in the form of a merit-based scholarship. Thanks to the generosity of our friends, alumni, and supporters, SHDHS is able to offer several merit-based scholarships to incoming freshmen. For more information, please contact Beckie D. Middendorf, SHDHS Advancement Director, at 859.525.5848 or [email protected]. The Stan Robinson Memorial Scholarship is given to the male student with the highest score on SHDHS’ 8th Grade Placement Test. The Susan Wolff Memorial Scholarship is given to the female student with the highest score on SHDHS’ 8th Grade Placement Test. Please note that individual applications or essays for the Kroger, Tobergte, Wendling, and Wilde scholarships must be submitted to the Advancement Office by Friday, May 11. FACTS applications for financial assistance must be completed by Tuesday, May 1. This endowed scholarship fund was established by Mr. and Mrs. John and Joyce (Ruehl) ’51 Berning in 2006. Click here for more information. This scholarship was established by the Knights of St. John. Click here for more information. This scholarship was established by family members of June Kohorst Kroger, a 1943 graduate of St. Henry. Click here for more information. This scholarship endowment was established in memory of Jim Paul ’75, by his wife, Patricia, and brother, Terry. Jim was killed in the terrorist attacks on the World Trade Center Towers in New York City on September 11, 2001. It is awarded to a student from the Elsmere township, where Jim grew up with his brother Terry. The award is given based on financial need. The yearly scholarship amount is: $1,000 tuition credit. Click here for more information. This award was established in memory of David Rolf ’80, who died at a very young age from cancer. The award is based on a combination of academics, need, and character. It is open to all incoming freshmen within our district. The yearly scholarship amount is: $1,000 tuition credit. Click here for more information. This endowed scholarship fund was established by Mr. and Mrs. Rouse to promote the value of Catholic education and honor the life-long friendships they made while in high school. Click here for more information. This scholarship endowment was created by Mr. and Mrs. Richard ’57 and Mary Kay Schmeing and the Schmeing family in honor of their parents, Mr. and Mrs. Walter and Louise Schmeing. Click here for more information. This scholarship was established by the Northern Kentucky Society of St. Vincent de Paul. The award will be given to a student who has demonstrated dedication to serving those in need as Christ has commanded us and will be contingent upon financial need. Yearly scholarship amounts vary based on available funds, but average award amount is: $750 tuition credit. Click here to complete the FACTS application (required for this scholarship). This scholarship was established in memory of Bill Tobergte by his children. Click here for more information. The Beth Wendling Memorial Scholarship was established in loving memory of Beth Wendling, Class of 2008. Click here for more information. This scholarship was established in memory of Nick Wilde, Class of 2013. Click here for more information. * Many SHDHS district parishes and grade schools offer scholarships to graduating 8th graders who will be attending SHDHS. For more information, please contact your parish and/or grade school office. The Bishop Ackerman Council, awards one scholarship to an eligible student entering SHDHS the following fall. The scholarships are awarded for one year and are renewable for each year of high school study, subject to evidence of satisfactory progress, maintenance of eligibility, and the discretion of the K of C Scholarship Committee. The awards are competitive and based on academics, service, and financial need. Applicants must belong to All Saints, IHM, MQH, St. Paul, or St. Timothy parishes, or a child or grandchild of an active member of the Bishop Ackerman Council who is enrolled at SHDHS. Applicants must also have a letter of recommendation from their principal or pastor, and write an essay on the Value of a Catholic High School Education. Contact the Council for information via telephone: 859.586.5010 ext. 274, or by mail: 5890 Veterans Way, Burlington, KY 41005. Yearly scholarship amounts vary based on available funds, but average award amount is:$1,000 tuition credit. Sponsored by St. Paul Parish, these awards are presented to at least one boy and one girl from within the district, based on academic achievement. No application is required. The value of each award is a $500 tuition credit. Several of our district parishes provide some financial assistance to parishioners who would like to send their children to SHDHS. Please contact your parish for more information. Many grade schools in our district also give scholarships to students within their own schools who will be attending SHDHS as 9th graders. Please contact the grade schools for more information regarding these additional scholarships.